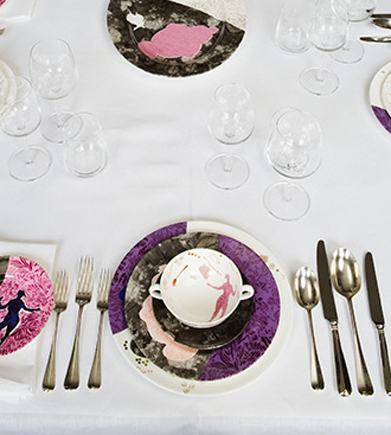 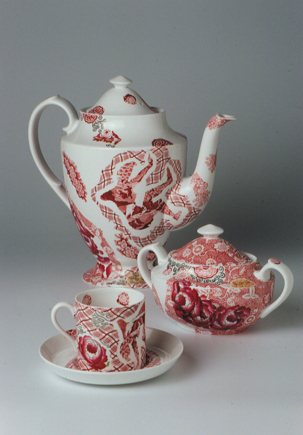 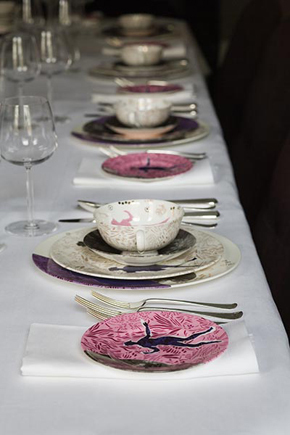 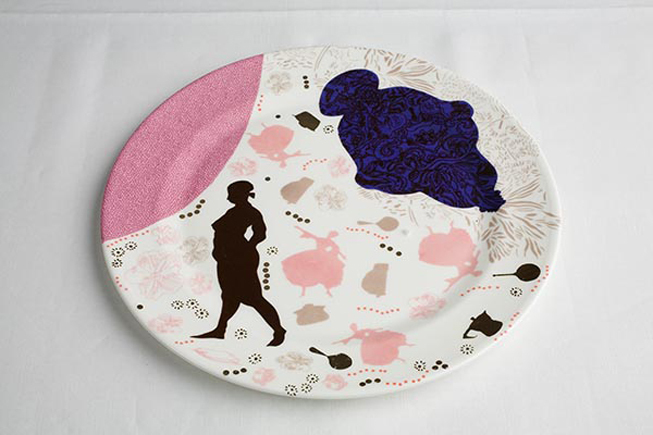 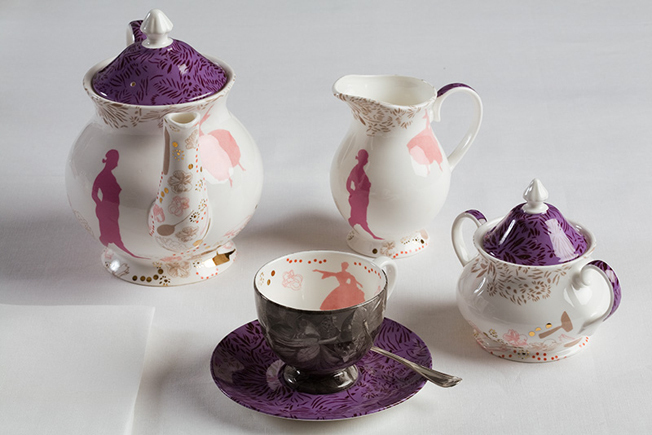 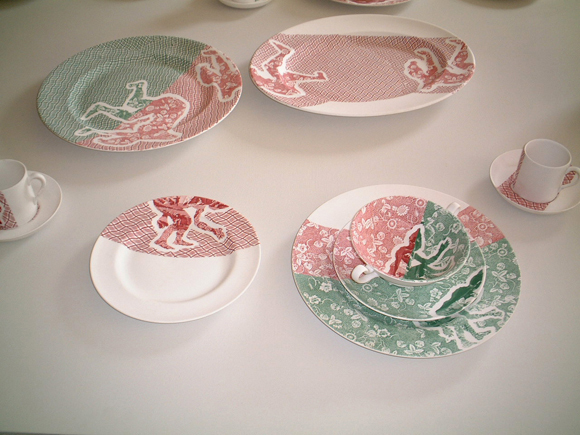 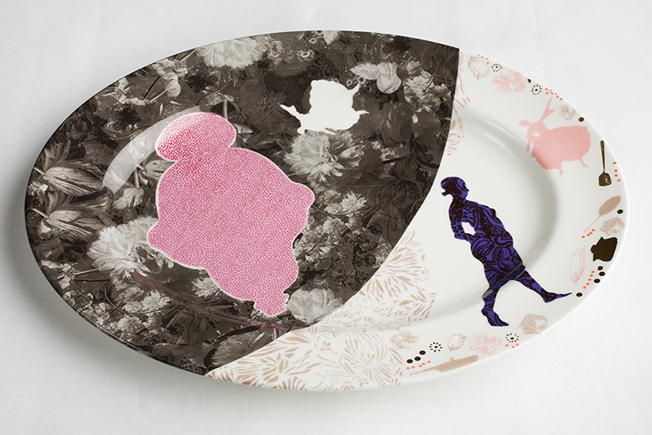 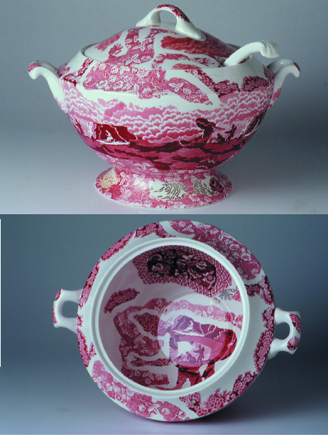 Two unique dinner services made in 2001 at Spode in collaboration with West Midlands Arts & Potteries Museum (purchased for their permanent collection), that drew on the historical archive of transfers at the factory. 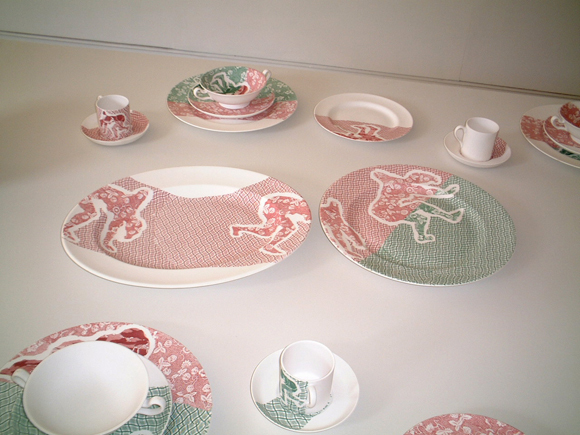 Exhibited at the Design Biennial, Design Museum London 2003. 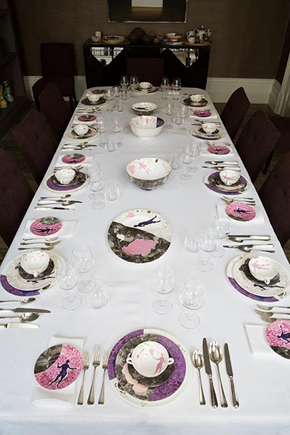 A further dinner service was commissioned in 2008 for a private collection.